Maid Bright donated one of its cars to Cars Helping Veterans. The process is very simple. 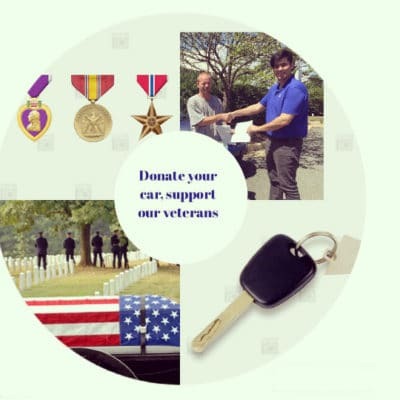 Car donations help assist veterans in their time of need. Go to www.carshelpingveterans.org for more information. Over 200,000 veterans will sleep on our nation’s streets tonight. However, we believe that no one who put his or her life on the line to defend our country should ever have to face the devastating reality of being homeless. The funds raised from your generous vehicle donation will be used to provide food, shelter, clothing and many other much needed services to wounded war veterans, as well as to all men and women who have so courageously served our country, through the worthy veteran organizations we support.